The Amigo Bravo 12 neck is a 0g neck piece matching the Amigo Bravo 12 Turnout. 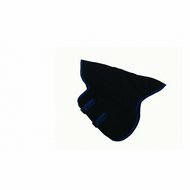 The neck is made of a waterproof and breathable 1200D outer fabric, has a nylon lining and a 0 gram filling. Attach to the blanket by means of Velcro and the metal rings that the blanket has. The neck can also be closed with Velcro. 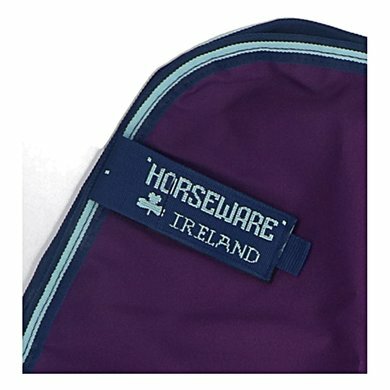 I've been swearing on horseware for three years now. The blankets are just great and keep what they promise. 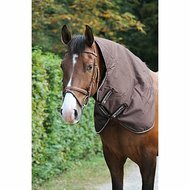 The halter sits very well and can be easily attached and quickly removed if necessary. Question: How much filling does the neck piece have? Answer: It is a Lite neck part, say 100 gr. 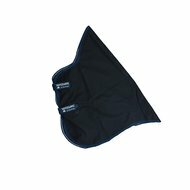 Question: I buy the Rambo-Optima stall cover (200 g), in blue - beige. Is there a matching neck? Can I also use a different neck than the model Optima? Answer: This would be the matching neck A1093828. However, you can also choose another neck piece from the Optimo range. Answer: Yes, the neck part is waterproof. 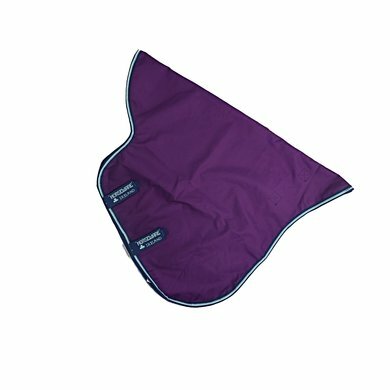 Question: is this matching with the amigo bravo 12 turnout, so waterproof? Answer: True indeed. This neck is indeed also waterproof. Answer: This neck is 0 grams and waterproof and breathable. Answer: Then you would need size L, unless you indicate that the neck is not so wide / long, you can also try size M.